You Make A Great Product. Here's How To Sell It To Shops. If you make a handmade product then SURELY you've considered adding wholesale to your income strategy. But what if you just don't know how to begin? 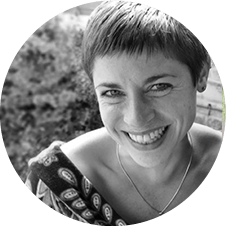 This course frees you from fear, overwhelm and the knowledge gaps that hold you back from selling your work to shops. how to get shopkeepers happily buying your work. ...or scroll down for more details. "THIS CLASS IS A GAME-CHANGER"
"What Retailers Want is the single-most useful course I’ve ever purchased for my business. 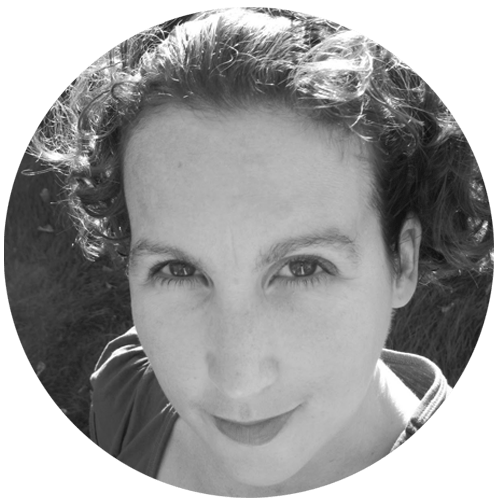 It’s the best resource for artists who want to expand into shops and generally stop feeling rubbish about being rejected." "How Do I Get You To Buy My Stuff?" I can give you the answer. 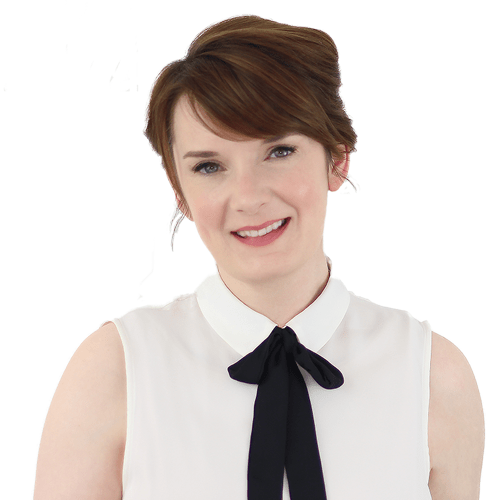 I'm Clare Yuille, indie retailers and owner of award-winning lifestyle boutique Merry + Bright. Every year I spend thousands on stock from creative businesses like yours. 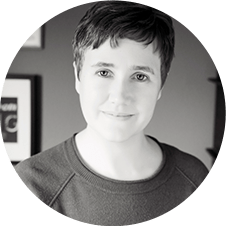 I know what wholesale buyers expect, what turns us off and what makes us say "Here's what we'd like to order." What Retailers Want is based on my experience of buying from hundreds of suppliers, from tiny one-man-bands to huge household names. 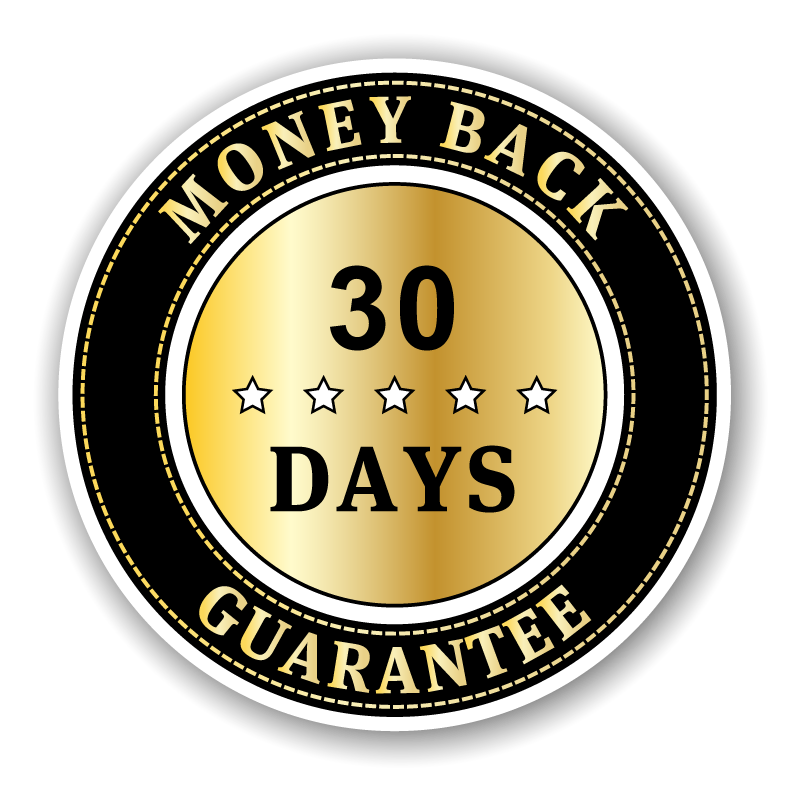 I've used my knowledge to create a comprehensive wholesale training program, so you can stop relying on luck to get the results you want from selling to stores. 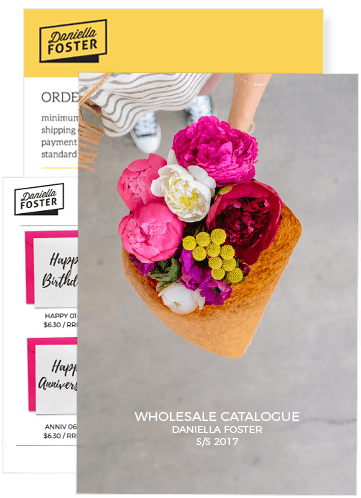 AT LAST you'll know that your pitches to stores WORK, and that you have the best possible chance of landing wholesale orders. You may have tried wholesale training programmes before and experienced lacklustre results. Or maybe you decided to go it alone. Even if you've already tried to sell your product to shopkeepers and been turned down, What Retailers Want will teach you the techniques that give every submission you send off to a store the maximum chance of success. Rest assured that this is not a rehash of the "tips and tricks" you've read about in random blog posts or on the Etsy seller forums. This time you don't have to rely on hearsay or what seemed to work for someone else. Instead, you've got a real indie retailer - someone who buys and sells lovely things like yours FOR A LIVING - showing you the ropes. 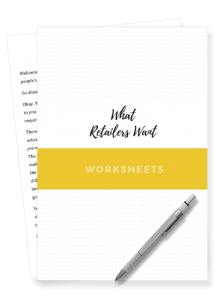 What Retailers Want starts out by covering all the basics, but in a way you've probably never seen before - emphasising the small details that make the difference between receiving your first wholesale order from a store, and receiving no response at all. What Retailers Want also features a refreshing lack of "one size fits all" thinking. Yes, it includes example documents and word-for-word scripts, but you'll discover that giving them your own twist is the special sauce that makes you stand out in a crowded marketplace. I don't believe in the "wholesale by numbers" approach, where you're taught to replicate what worked for the course leader. 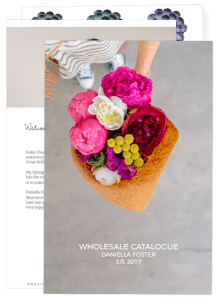 Every wholesale business is unique. What leads to fame, riches and a gold-plated potato masher for one supplier, in their extremely specific circumstances, may not be right for you. 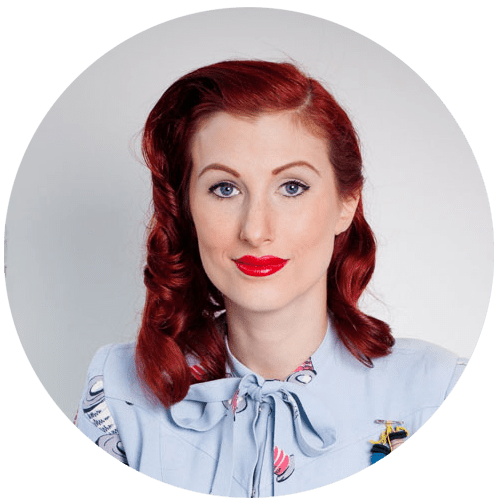 Instead of laying down a rigid formula, I'm going to show you how to create a way of selling to shops that works for you - from scratch. What Retailers Want begins with a straight-talking explanation of how to identify the retailers who are most likely to buy your stuff. Each chapter builds on the last so you get steadily smarter and more confident as we go along. In your worksheets, you'll apply what you've learned to your situation. But don't worry about being thrown in at the deep end - we'll get your brain warmed up with some enjoyable exercises first. That way, when it's your turn, you're raring to go. Instead of wasting time hearing about what someone else did, you'll identify and work on the areas that directly impact your wholesale income. If you do the things we talk about, your submissions to stores will become polished, professional and persuasive. If you're like most artists, you've been worrying about that. Years of working with students and one-to-one clients have shown me that the biggest fear creative people have about approaching stores is not looking professional. That's why a full suite of example wholesale documents is included in What Retailers Want. They provide a ready-made structure that you can easily adapt and build on. Welcome Page, Product Pages, Testimonials, Behind-The-Scenes Page, Starter Pack Page, How To Order Page, Terms + Conditions Page. Your example PDFs show you how to do practical things like lay out your catalogue and line sheet, but they're also your safety net. All you have to do is open up your design software (Canva, Word or whatever you're comfortable with,) and copy what you see. All of the important details, plus the features that make you look like a pro, are already built in to your examples. What Retailers Want teaches you proven strategies that WORK. 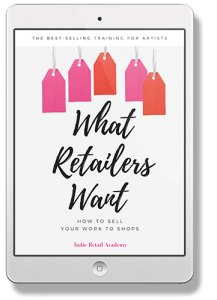 It's broken down into simple, step-by-step lessons that walk you through approaching retailers in the right way. Each section leaves you with easy-to-follow action items so you can methodically put what you've learned into practice. No guesswork. No reverse engineering. No more hours spent searching the internet for something that makes sense. How to make the buying decision effortless for retailers. The simple way to tell if a store is worth approaching. How to sell more to shopkeepers by satisfying their biggest "unmet needs." Why there's only TWO types of retail buyer you ever need to think about. Finding the right shops for you, made VERY easy. How to quickly press all the right buttons so retailers see you as safe and reliable. Specifically how to fix your website so that retailers (and regular customers) feel good about buying from you. What to include in your catalogue, step by step. How to have retailers genuinely enjoy the fact that you're selling to them. How to nudge retailers from "Maybe one day" to "Great, let's order now." The smart way to get retailers placing bigger orders, now and every time. How and when to deploy your line sheet and catalogue for best results. How to set your prices, payment terms and sale-or-return agreements so they match up with what retailers want to see. My famous word-for-word script for approaching a store and WHY it works so consistently and so well. The one thing to include in your pitch email to give it the very best chance of being opened immediately. Pitching by letter and phone...and is it EVER okay to just show up in person? How to give retailers the emotional experience they crave and position yourself as the perfect fit for their store. Examples of the poor-quality pitches stores receive, so you never make these mistakes. 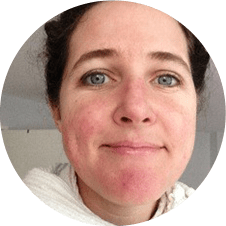 How not to be paralysed by the fear of being rejected, and how to recover quickly when you are. What to do immediately when a retailer says "yes!" What to look out for when a retailer approaches YOU about stocking your work. My word-for-word script for following up on your initial pitch, giving you a whole new opportunity to grab the retailer's attention. How to finally feel great about selling your work, even if you'd never call yourself a natural salesperson. This isn't another course that's going to sit untouched on your hard drive. What Retailers Want is all about taking action, and the lessons you'll find inside are clear and to the point. This class is specifically designed to make the training, and the steps you need to take, as clear as possible so you get individualised results without the guesswork. Detailed explanations - even for things you might be worried are "silly questions." Pre-class mini lessons to get you off to a flying start. Everything is clearly organised in a dedicated class portal so you always know what to work on. You shouldn't have to spend your time searching forums and old blog posts to find the answers you need. When you enroll in What Retailers Want, everything is all in one place, easy to follow and permanently available to you. "I SUDDENLY REALISED I CAN DO THIS!" 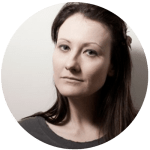 "I ROCKETED FROM ONE STOCKIST TO FIVE"
What Retailers Want costs less than you'd earn from one small order from a store and it's proven to deliver results for artists all over the world. Give What Retailers Want an honest try. The fact is if you do the work, you'll get results. But after the first four weeks, if you're not making progress, and feeling noticeably better about selling to stores, I don't want your money. Send me an email and I'll issue you with a full refund. No hoops to jump through, no homework to hand in. "THE ANTIDOTE TO STRESS AND WORRY"
"This training has saved me years of stumbling around in the dark getting rejected and not knowing why. I now know I’m approaching stores professionally. That saves me so many sleepless nights of worry." "NOW I HAVE SO MUCH CONFIDENCE"
What Retailers Want is regularly updated based on student feedback and what's new in wholesale. You'll never have to pay for the most recent version. You’ll never lose access to your training. If you have to take time off, pick right back up where you started. Your materials are always available. If you ever get stuck or need help, you can easily send me a message and get my support. I'm here to help. Will this help me sell to major retailers? This training serves a particular niche of creative entrepreneurs very well, but it’s not for everyone. You won’t learn how to sell your work to big department stores or multiples, anything to do with licensing, sales reps, manufacturing or the magic formula for overnight wealth and success. No leprechauns here, I’m afraid. 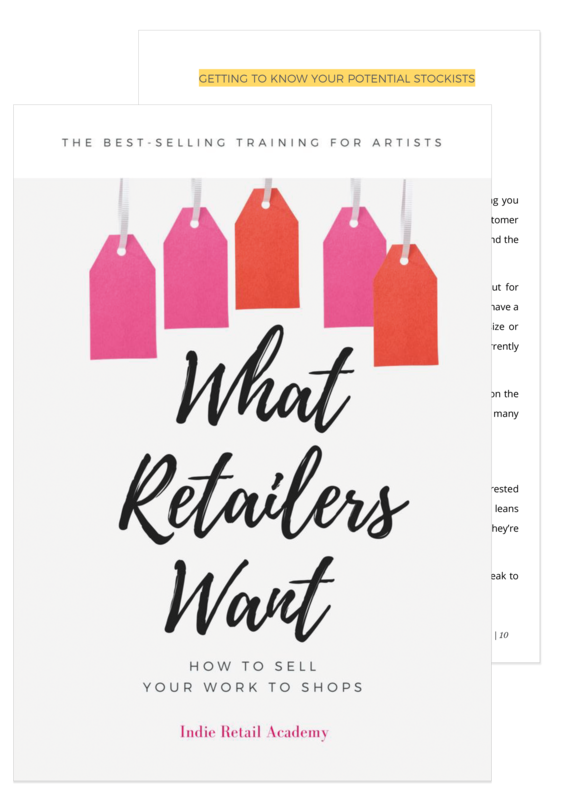 But if you want to learn how to sell to boutiques and galleries, What Retailers Want was made for you. What kind of artists benefit from this training? Stationery makers, ceramicists, painters, illustrators, furniture makers, skin care makers, jewellery designers, glass makers, fashion designers, lingerie designers, swimwear designers, photographers, papercut artists, book binders, leather workers, stone carvers and sculptors, weavers, textile designers, print makers and confectioners have all used this training to sell their work to shops. If you make a handmade product, What Retailers Want is for you. Does this training apply where I live? Yes. There are What Retailers Want students in the UK, the US and Canada, South America, India, Scandinvia, Australia, Indonesia and countries all around the world. Depending on your industry and where you are, you may have to make small adjustments but the principles you'll learn are universal. What results do students typically achieve? Students snag their very first stockists, increase the number and value of the wholesale accounts they already have, find the confidence to exhibit at prestigious trade shows and pitch collaborations with retailers. They make more money and feel less overwhelmed. Your mileage may vary, but if you put in the work, great things are likely to happen. What formats do the materials come in? 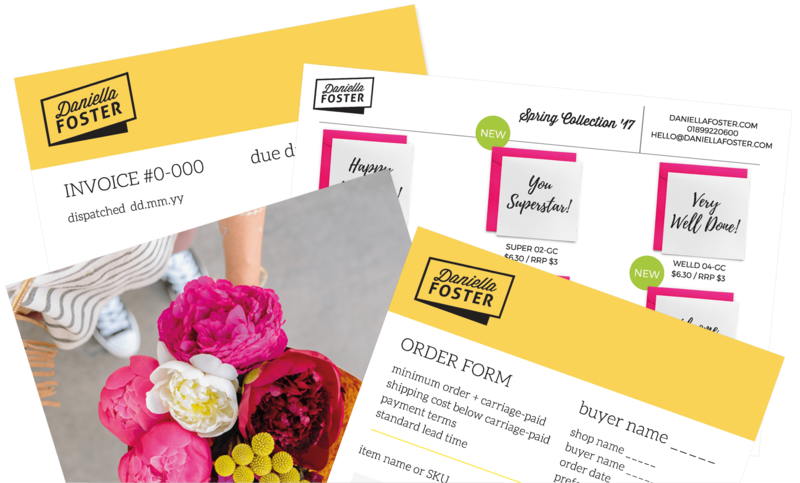 You'll receive a PDF and a podcast-quality audio recording of the class, editable and printable worksheets and example PDFs of a catalogue, line sheet, order form and invoice. There are a couple of extra surprises waiting for you in the class portal too, like three pre-class mini lessons and a roadmap to your first 10 stockists. Everything is yours immediately, and they're yours for life - including lifetime updates. That depends on how you like to learn. There’s nothing to stop you cherry-picking the advice you need most and putting it into action immediately. If you’ve chosen the right store and all your other elements are in place, you might get a positive response within a couple of days or even hours. Or it might take a bit longer than that. The lessons in What Retailers Want tend to stack. The more you put the things we talk about into practice, the more their effectiveness builds up and the quicker you start seeing results. Easy - just get in touch with me here, or at clare@indieretailacademy.com, and I'll get back to you personally. Learn how to sell your work to shops.